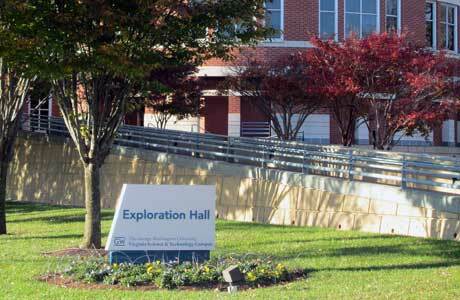 The process to improve and expand Campus signage began several years ago when the university developed a Comprehensive Sign Plan. The intent of the Plan was to enhance the visual environment of the Campus by providing consistent guidelines for signage. It was given final approval by the County Board of Supervisors in February 2013. 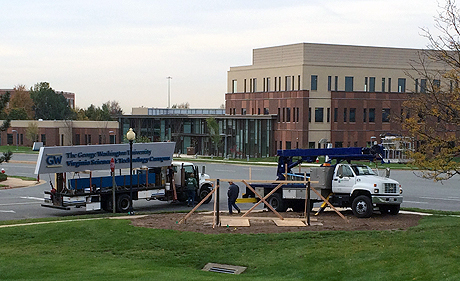 There are a number of different types of signage being installed on Campus. Each one has a unique purpose. While many of them have already been installed, the project is nearing completion. 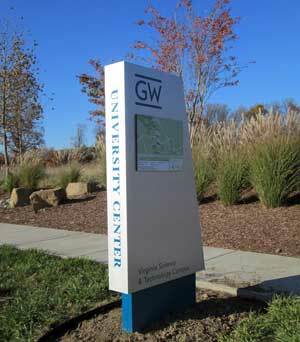 Campus Monument Signs: located at prominent points of access from surrounding public roads and major campus intersections. The signs will serve to welcome visitors and establish the unique identify of the VSTC at key Campus locations. 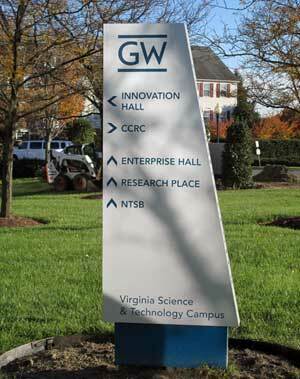 Building Monument Signs: located along major thoroughfares throughout Campus near the primary street-facing façade or entrances of individual buildings. These signs will include the building name. Vehicular Directional Signs: these will be placed at locations along the main campus thoroughfares to provide directional information to visitors regarding VSTC locations and building entries. These signs include building names with arrows pointing towards the desired destinations. Pedestrian Wayfinding Signs: these are being placed at appropriate locations throughout the Campus where pedestrian activity is most likely to occur. The signs include a Campus map. 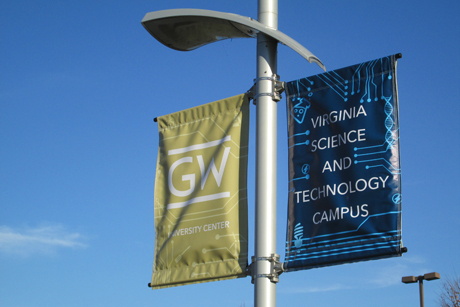 Pole Mounted Banner Signs: banner signs are a common identity feature throughout many campuses across the country. They help establish and define the university’s presence and boundaries, as well as communicate information. 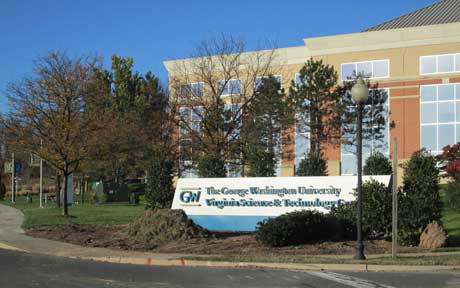 For questions, please contact Scott Anderson, senior property manager for the GW Virginia Science and Technology Campus. He can be reached by email or by phone at (703) 726-8543.